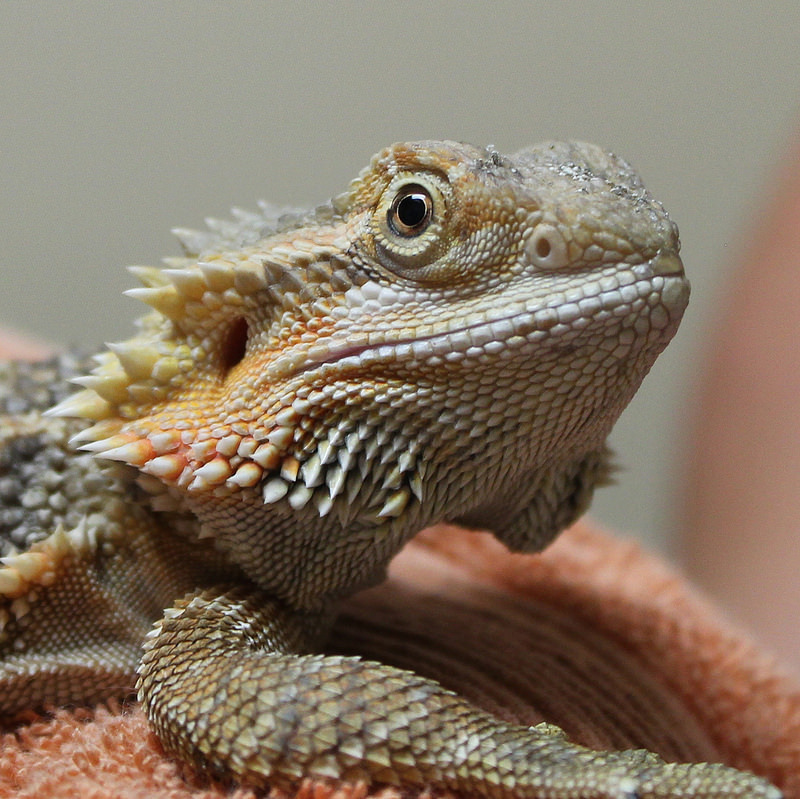 A bearded dragon can grow up to 24" long and they need an enclosure that will comfortably accommodate this. At a very minimum their enclosure should be 24"W x 48" L x 12" H.
Many guides recommend a 40 gallon breeder aquarium because they are readily available, however, these enclosures are really too small to comfortably house a bearded dragon. Better alternatives include one of the plastic terrariums commonly available online or at reptile shows with these minimum dimensions. However, these enclosures do not typically allow for basking lights to sit on top of them. Therefor, additional height is required to mount basking lamps inside the enclosure. The biggest and easiest solution is the Serengeti 32 which offers a 48"W x 48"L x 24" H enclosure to more than comfortably house your bearded dragon.